Did you know??? 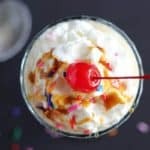 Homemade ice cream is so easy! 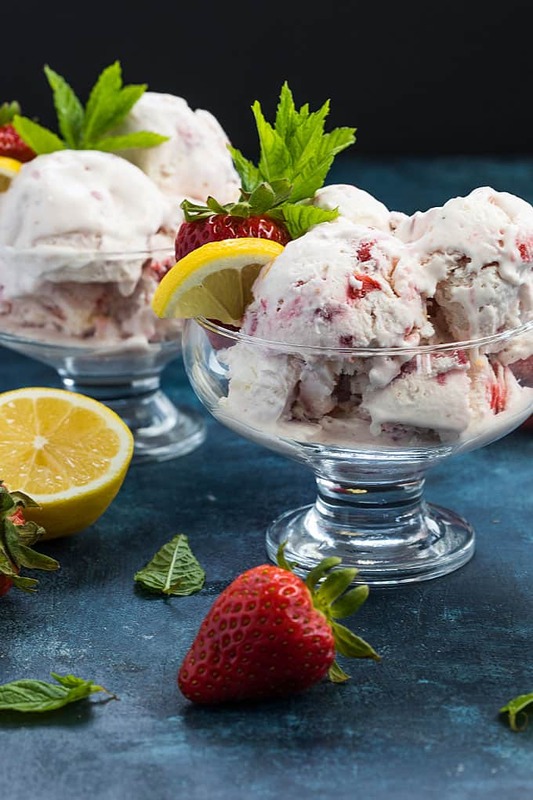 You don’t need an ice cream maker to make the most amazingly delicious ice cream… like this No-Churn Strawberry Lemon Ice Cream! It’s finally that time of year. Strawberry season and warm weather. YES! 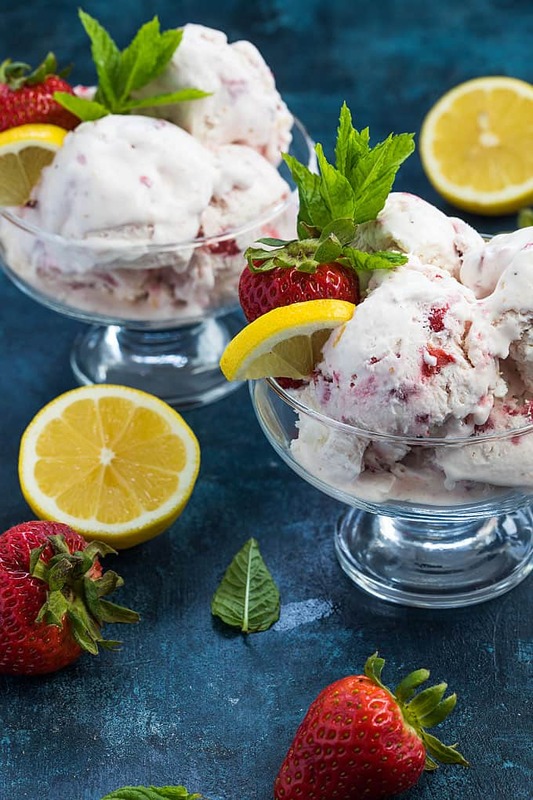 I love the flavor combination of strawberry and lemon and thought, “Why not incorporate it into ice cream?”. 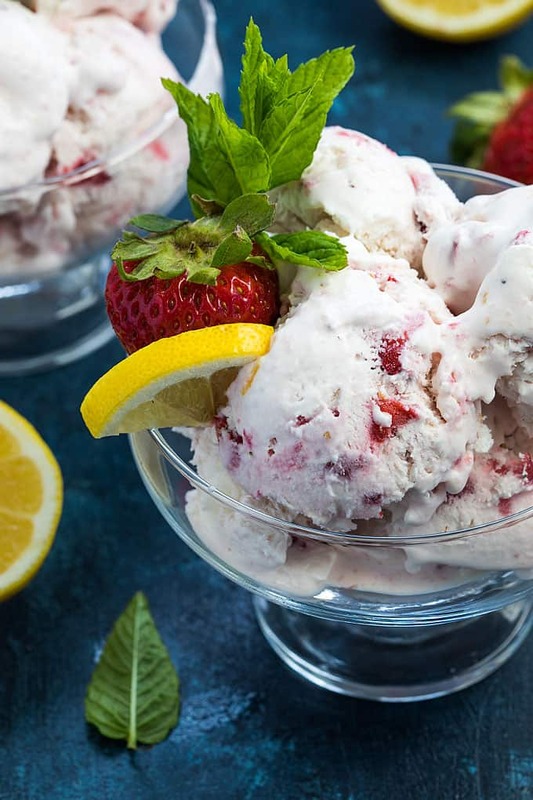 This ice cream is predominately strawberry-flavored with a hint of lemon… if you’re a lemon lover, just add more lemon zest to your personal preference. It was perfect for my taste buds though! 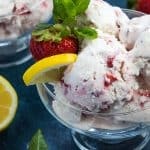 What do I need to make homemade strawberry lemon ice cream? The best part? 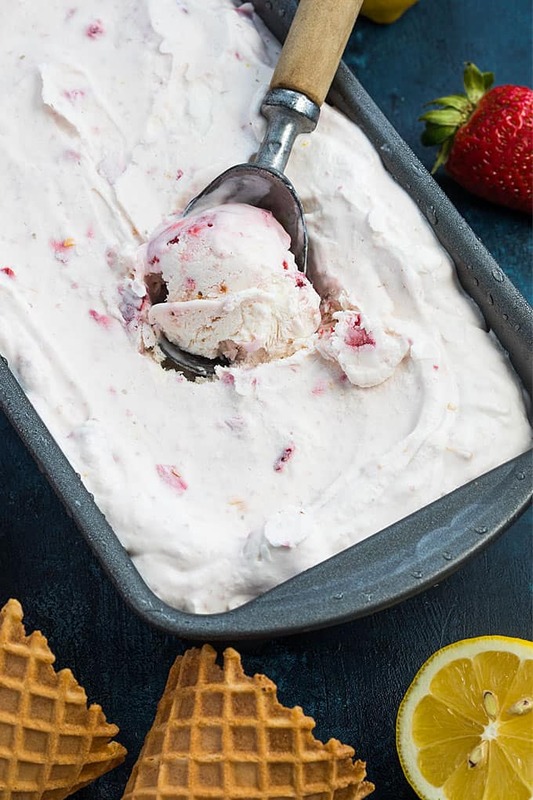 Just 10 minutes prep time is all you’re going to need for this fruity, flavor-packed ice cream. Enjoy! 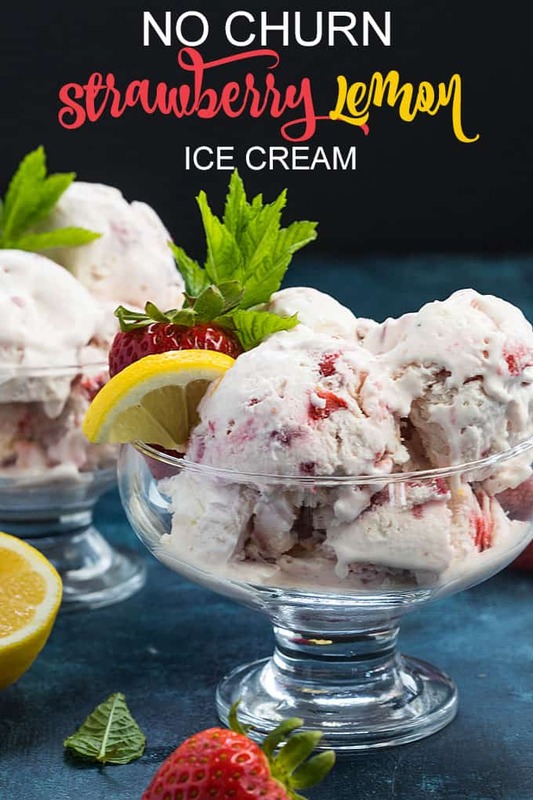 No-Churn Strawberry Lemon Ice Cream – The most creamy and flavorful ice cream… no machine required and just 10 minutes prep time! 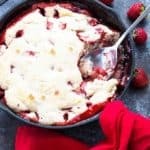 Divide the strawberries in half. Place 1/2 of the strawberries and lemon zest in a blender or food processor and blend until smooth. Chop the remaining 1/2 of strawberries into about 1/4-inch pieces. 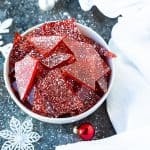 Pour sweetened condensed milk, lemon extract, strawberry/lemon puree and chopped strawberries in a large bowl and stir well to combine. Set aside. Using an electric mixer on high speed, beat heavy whipping cream until thickened with stiff peaks (about 2-3 minutes). Gently fold strawberry and lemon mixture into cream and stir to combine. Pour into a loaf pan an cover with aluminum foil. Freeze for at least 5-6 hours, or until firm. This looks so yummy. 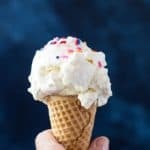 Do you have any sugar free or made with stevia ice cream recipes? Thanks Linda! 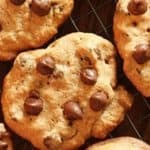 No I don’t… I did do a little research and found there is a stevia-sweetened condensed milk, I would try substituting that for the sweetened condensed milk, but I can’t say how the recipe would turn out because I’ve never made it. 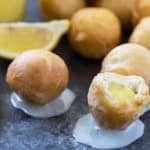 Here is a recipe I found for sugar free condensed milk. Let me know how it turns out if you try!